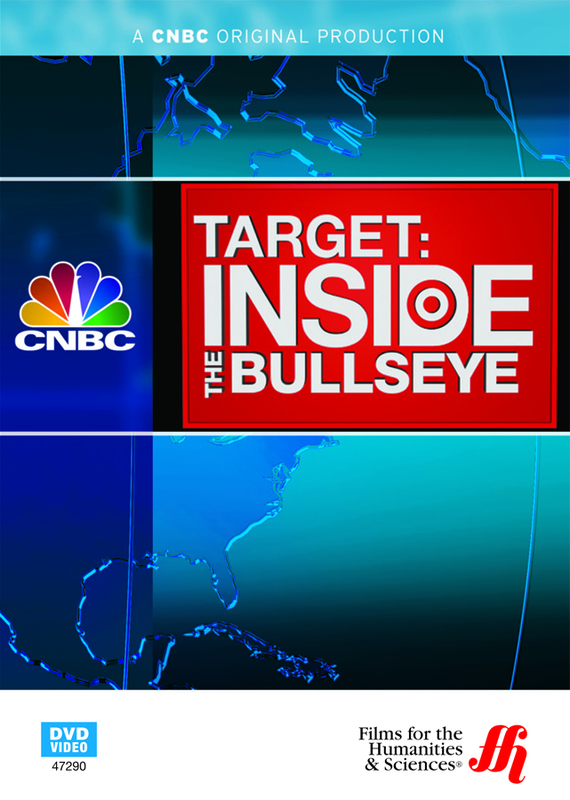 Go deep in the bullseye and open your eyes to the progressive ideas of the Target Corporation. Explore the prosperity of the discount chain store Target and uncover how it maintains its appeal by hiring high-fashion designers to make clothes for the Target brand. The company has a larger bottom line than other popular companies such as Coke(tm) and Dell. The goal of Target is to be America's favorite. Learn how Target began and the way it competes with other discount, chain stores. Target stores are found in 49 states and employs hundreds of thousands of workers. Target continues to strive to improve the guest experience, the quality of the product as they maintain a positive atmosphere for its employees. The Bullseye is the target for home furnishings, toys, electronic equipment, sporting goods, movies, books, music, games, clothes and more. Enjoy a conversation with Gregg Steinhafel as he explains Target's motto- "Expect More. Pay Less. View the timeline of the Target corporation as you follow George Draper Dayton's journey from 1857 where he started his own business and progressed to owning an apartment store. This is the same Dayton that combined with Hudson's to form the Dayton-Hudson corporation. Plus, understand the financial bumps from expanding too quickly and how Target recovered from this. Always on the cutting edge, Target becomes the first discount retailer to issue gift cards. The use of top designers for their clothing and make up lines draws many customers to their stores and brings them back for a return trip to an environmentally friendly store that uses recycled materials in the shopping carts and lower wattage than required to light the white-walled stores.